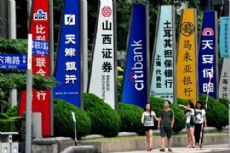 The further opening of China's financial sector, despite introducing foreign competitors, would help introduce more mature financial products and test the governing ability of Chinese financial regulators in face of a more dynamic environment, industry insiders said at the ongoing China Wealth Forum (CWF). The comments were in response to recent heated discussion over whether the country's financial industry is opening up too fast and sending in "wolves" that threaten the survival of domestic players. "The [financial sector's further opening] to foreign investors is a stimulus for domestic financial entities, not a threat at all," Renzo Isler, an Italy-based insurance expert told the Global Times over the weekend on the sidelines of the CWF in Qingdao in East China's Shandong Province. "It's good because from a competitive point of view, it will make domestic players feel the immense pressure and therefore realize that they need to improve, develop better products and financial tools and bring up their service quality to an international level," Isler noted. China unveiled a new version of a negative list in June which drastically expanded market access for foreign investors. Under the new rule, foreign investors in securities, securities investment fund management corporations, futures and insurance companies are allowed to hold a maximum of 51 percent of shares in joint ventures (JVs). The cap will be removed in 2021. Toshiyasu Iiyama, Executive Vice President of Japan's largest securities trader Nomura Securities Co, said that the company has already submitted applications to hold 51 percent of a new JV's shares to China's securities watchdog under the new rule. "We have spotted plenty of opportunities, as there are a number of businesses in the financial industry that have not been completely covered by China's financial entities," Iiyama said at the CWF. Isler also stressed that the opening-up measures are being carried out at the right time and will not shift the balance between Chinese and foreign financial institutions. "Currently, local players have grown up and developed knowledge, and they have dominated the market," he said, indicating that Chinese financial institutions are capable of handling the upcoming competition. So far, joint ventures in China's financial industry only account for around 4 percent of market share, according to Isler. While dismissing market concerns, experts also stressed that the acceleration of the financial opening would also test the governing ability of Chinese financial regulators, as they will be expected to monitor in a more dynamic environment and deal with ongoing risks. Guan Tao, a former senior official at the State Administration of Foreign Exchange (SAFE), suggested at the forum that Chinese authorities should balance the strengthening of supervision after the financial opening-up. "There should be a mild buffering area so as to avoid the scenario of too much regulation leading to a dead-end, and too little regulation leading to chaos," he said. On the one hand, the supervision should be flexible rather than imposing strict rules and regulations. For example, the banks' foreign exchange service in China could be conducted based on international rules. And such an efficient and flexible model can replace the current stipulation of SAFE, under which only those who can provide a certificate are eligible for business, according to Guan. But on the other hand, the government should be able to keep its last line of defense and maintain the ultimate hand, experts said. Isler also warned that the domestic regulators should enforce further rules on the financial sector's risk management and governance practices, in particular the misuse of funds by domestic financial institutions, so as to "give confidence to foreign investors."